With each trip to Guatemala, we come here intending to make a difference. And each time we leave, we find that this place and these people are the ones who ultimately change us. 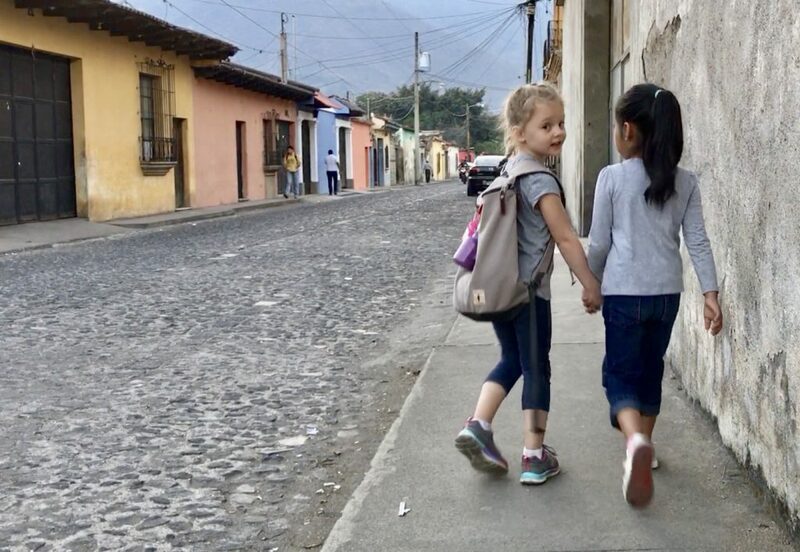 On January 11th we headed south with our two children, Maddy (5) and Brecken (2) intending to experience beautiful Antigua and Escuela Integrada as a family and learn Spanish in one of the best places to do so! These children, the teachers, the staff, and all the people here are unbelievably welcoming. Even with our “un poco” Español, they made us feel like we were a part of their family. We see how the presence of love and stability can lift a child out of impossible circumstances. These children have smiles that could light up the sky, but our extended stay has given us time to see the struggles behind those smiles. Our daughter speaks enough Spanish to get by but what a blessing it has been for her to further her Spanish while making life-long bonds with the other 1st grade students at Escuela Integrada. The kids in her class welcomed their new American classmate with open arms and the first week was a whirlwind of new experiences and lots of Spanish practice for us all! On that first Friday, we asked some of the students if they were excited for the weekend. They smiled as if they knew they were supposed to say, “yes”. But, then they offered the truth…they’d rather be in school than be home for two more days. How quickly we forget that, to them, school means a high-five or big hug when they walk through the front door. For them, school means fresh water and fresh food. And, most importantly, school means safety, stability, and an opportunity to just be a kid for the day. Unfortunately, their weekend means these kids must deal with situations that seem incredibly unfair. We ran into some of these children as they worked on the streets, selling crafts or shining shoes, to make extra money for their families. For some of these kids, “going to bed” means picking their favorite spot on the ground. And, sometimes, an upset stomach means a diagnosis of Hepatitis A and many weeks of recovery away from the school they love so much. 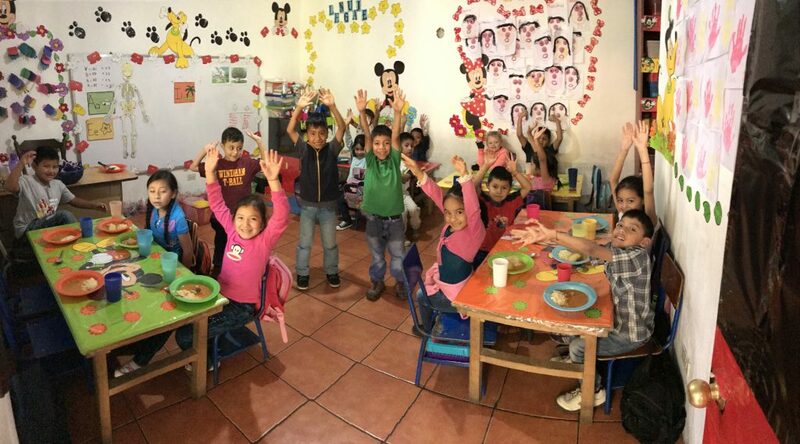 For these reasons and so many more, Escuela Integrada and those who support this school continue to be a life-changing, impactful source of stability and opportunity for these kids. It is a natural thought when we donate time or money, to wonder if it is actually making a difference. From our first-hand experience here, we can tell you, it is! We continue to see amazing things happening here over the past 2.5 years. Timid, worn-out children are turning into confident young adults. Dreams of fresh, safe drinking water have been replaced by dreams of being a doctor. And despite the hardships they encounter, these children have an abundance of hope! God is at work here and, thanks to all of you, this school and these children can look forward to a future of endless possibilities! P.S. If you have any questions at all, we are happy to answer them. Even the ones that you think are weird, insensitive, or “politically incorrect” – we know we used to have many questions, and we are an open-book about our experiences down here.